As part of my business Feminist Oasis, I have organized and facilitated several series of workshops & coworking sessions in the Seacoast area. We had a month-long 9-session series at Teatotaller in Somersworth, NH in April 2018; a weekend session at STREETza in Portsmouth, NH; and another month-long 5-session series at Teatotaller. 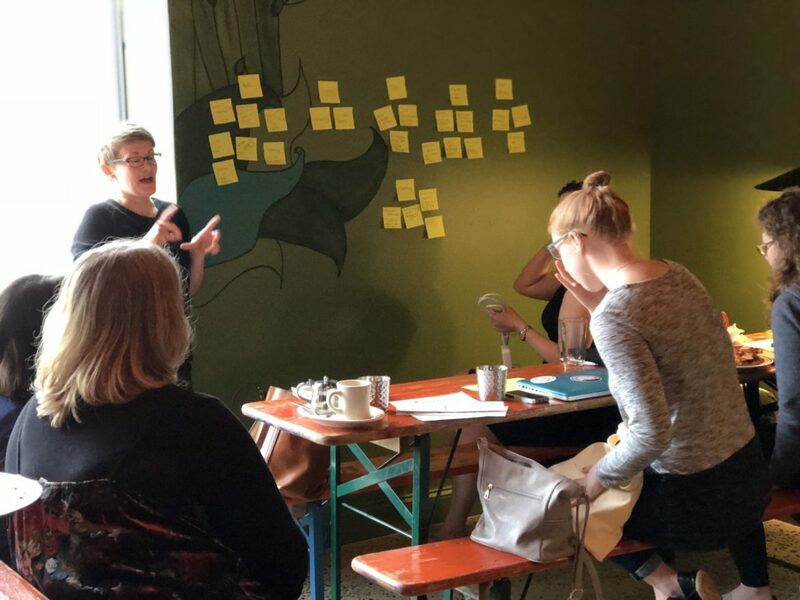 Our workshops cover topics like collaboration, time management, values-centric work practices, systemic and structural assumptions, honoring cycles, supporting bodies and freelancer tools and best practices. For the coworking portion of our events, we use the Pomodoro method: 25 minutes of focused work with 5-minute breaks. Networking and conversation happens on breaktimes and sometimes during work sessions, and attendees are encouraged to find the place and atmosphere that is best for their work style and objectives: a nook of their own or collaborative table with others.